Horrific violence at Schoolies has been captured on film. 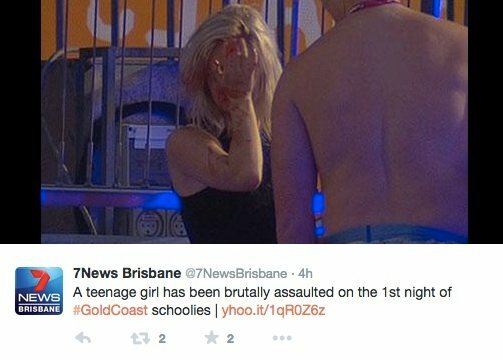 Schoolies is off to a violent start. 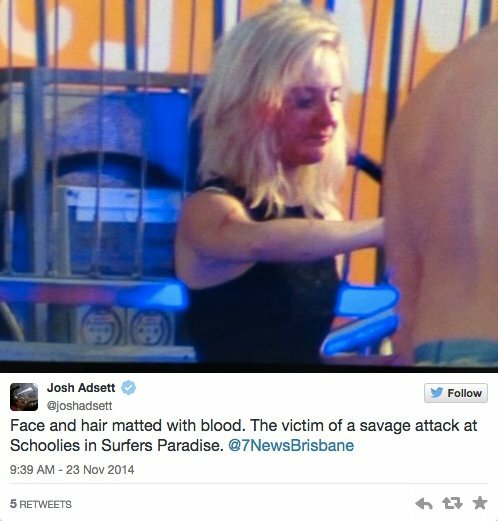 The first night of Gold Coast schoolies celebrations has been marred by violence with 19 arrests and the brutal assault of a teenage girl in the early hours of Sunday morning. Yahoo7 News footage shows the young girl being repeatedly punched in the face before having her head slammed against a steel fence by a group of females. 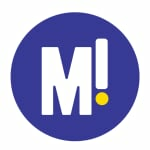 A man who tried to help her was also attacked. Of the 19 people arrested last night, the offences included public drunkenness, public nuisance and drug offences. There were also fines issues to 42 schoolies for drinking in public. 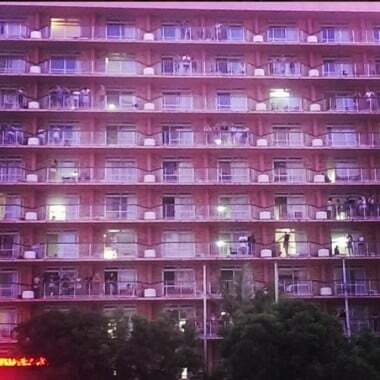 Queensland Police issued a strong warning against “balcony hopping” on Twitter, calling it “dangerous, dumb and deadly”, telling graduates that balconies were “not there as a shortcut” to the room next door. 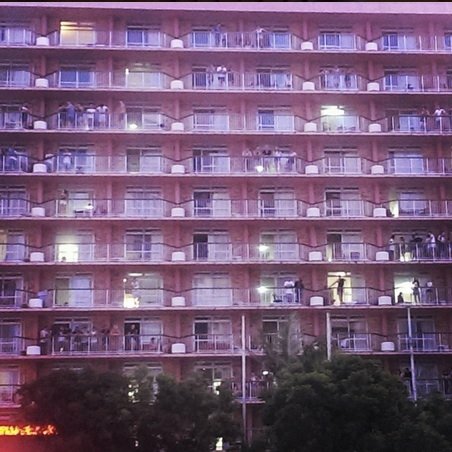 But not everyone was listening. 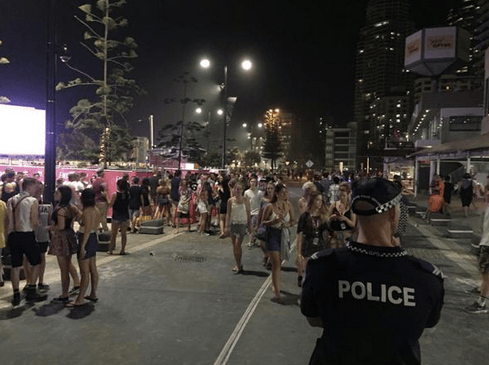 Around 30,000 school leavers are expected at Surfers Paradise through out the week and police have praised the general behaviour of party goers so far.